I did this editorial photo shoot at the Vancouver Club’s Georgian Room with top Vancouver wedding vendors: Roa Floral & Event Designs, Aeyra Cakes, Love by Phoebe, Art of the Party, and chairs by Universal Decor. The Vancouver Club is an exclusive club that host many of the best wedding and corporate events in the city. It has a old world classic aesthetic, which is perfect for anyone looking for a timeless venue that is a Vancouver heritage landmark. Top Vancouver wedding vendors CC Roa and Jamie Roa did the decorating work for the main table. Paula of Aeyra Cakes made a beautiful wedding cake and treat table for us. Goh Ballet provided the ballet shoes for this project, which served as the anchor for the main theme of the editorial photo shoot. CC designed is photo shoot in remembrance of her friend Dame Martha Horvath. Love by Phoebe provided the wedding stationery, including the table cards and cards for the treat table. 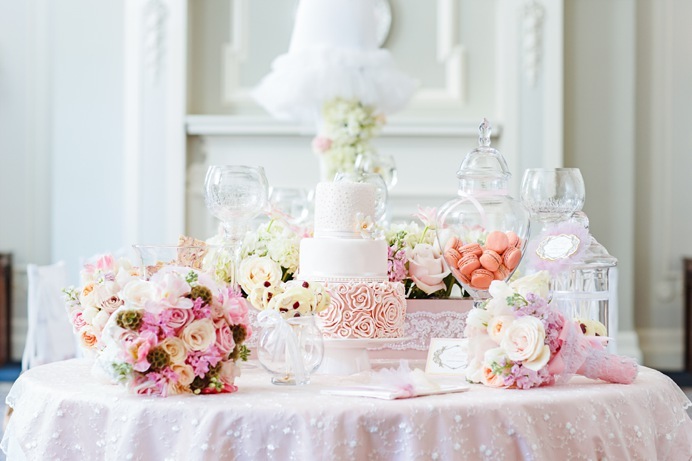 It is an incredible amount of pink and peach colours in these photos, which was by design (Thank you CC!). Decor elements were also provided by Art of the Party and Universal Decor. CC asked me to work on the project with her because of all the other great Vancouver wedding photography commissions we’ve done together over the years. Looking forward to the next wedding project with more professional Vancouver wedding vendors.